Savvy Spending: Redbox: Free Rental code for a movie and a free game! Through 12/27! 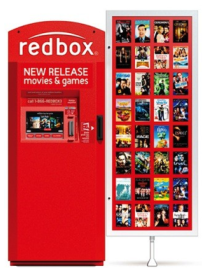 Redbox: Free Rental code for a movie and a free game! Through 12/27! You can get a FREE Redbox rental with promo code F467F929 and a FREE video game rental with the code RWQ325Q5, valid through December 27th! Remember, when you put a DVD on hold at Redbox, you have until 9pm the following day to pick it up! So if you can't rent a movie to watch tonight, you can use this code now and pick up your movie tomorrow!